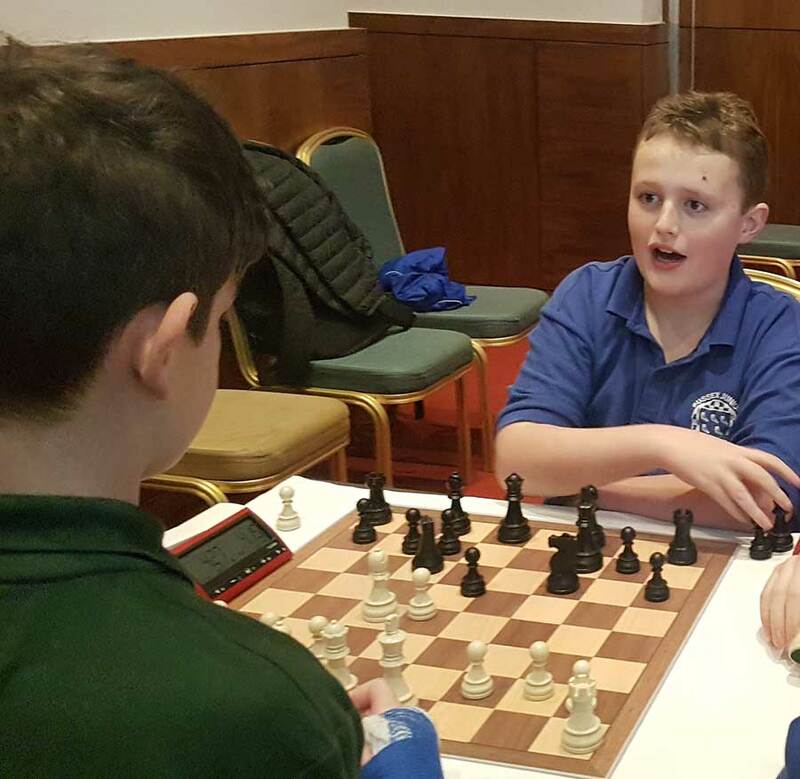 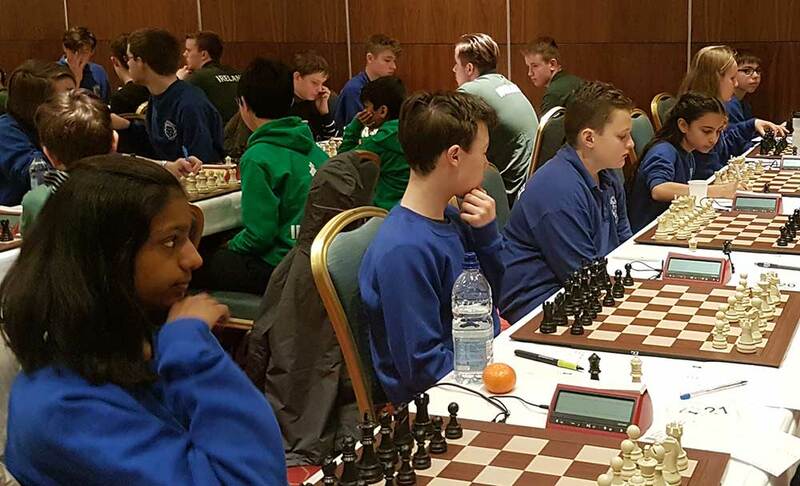 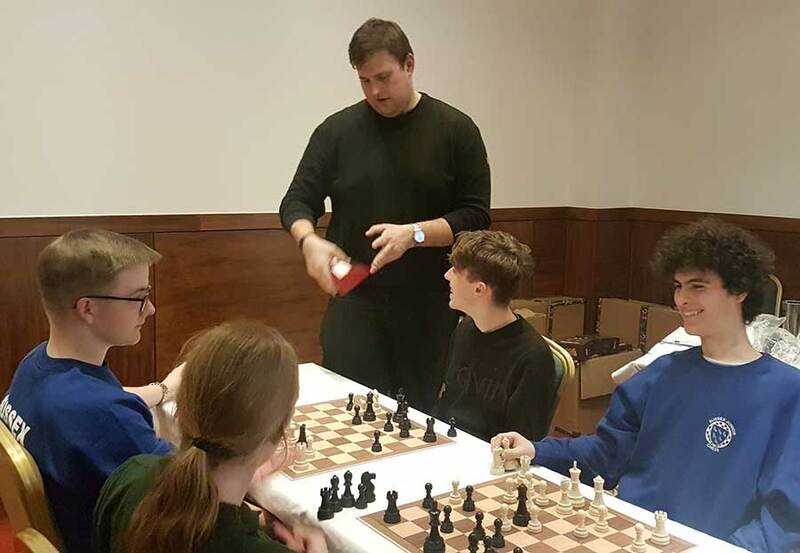 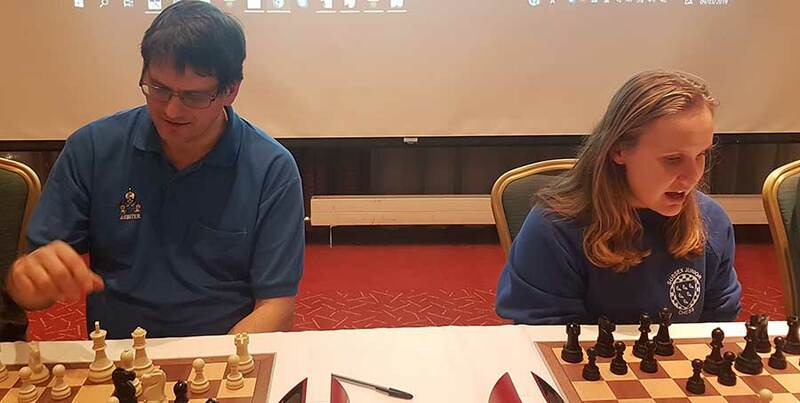 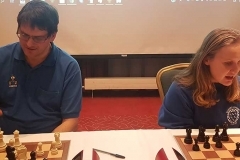 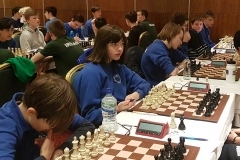 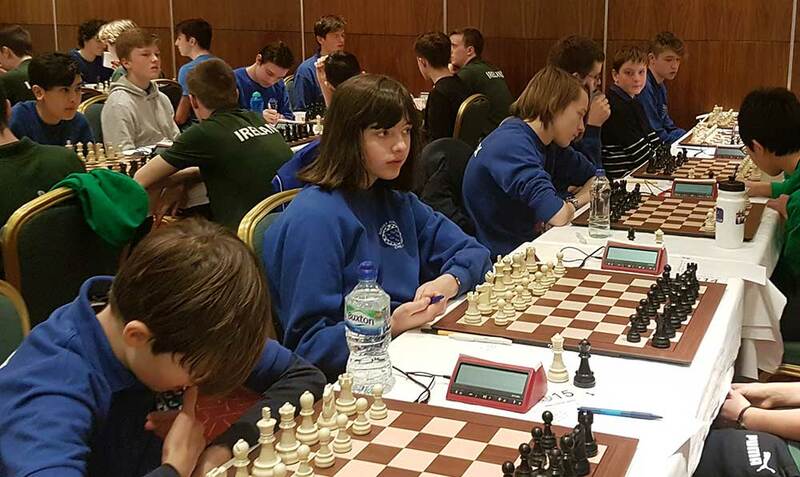 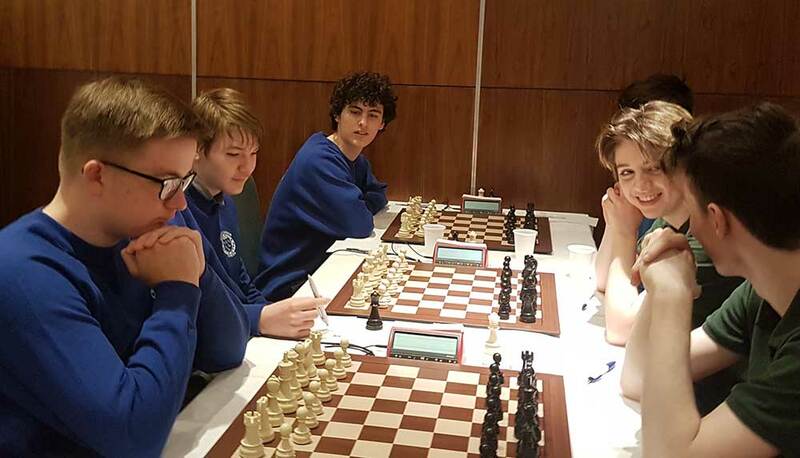 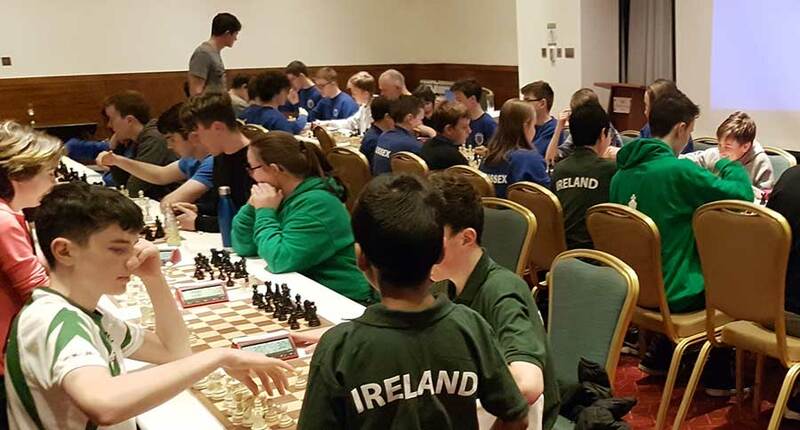 This fixture was reinstated in 2017 after a break of several years when the Irish Chess Union invited a delegation from Sussex to Dublin. 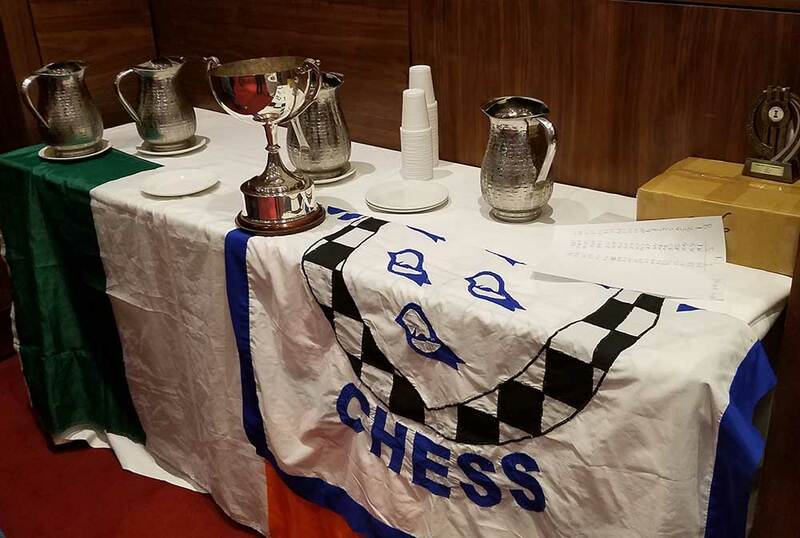 Following the return fixture in Crawley last year Sussex once again return to Ireland to compete for the prestigious Sir Patrick Moore Cup. 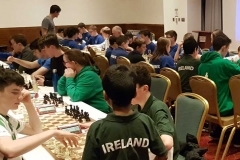 The venue was the Crowne Plaza, Dundalk. 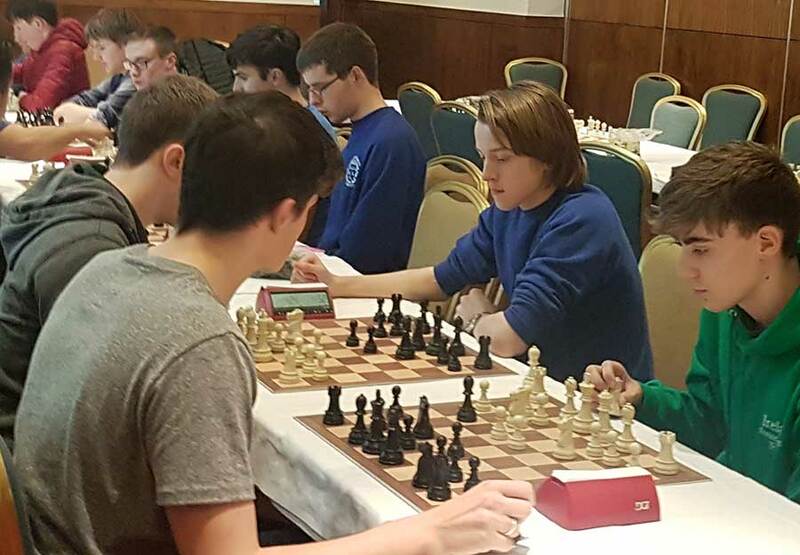 The main event consists of a 4 round FIDE rated longplay tournament with an 11 round FIDE rated blitz in the evening. 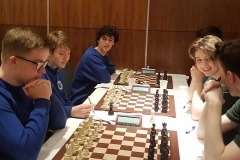 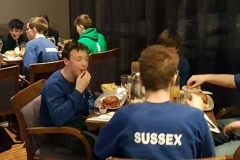 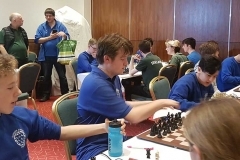 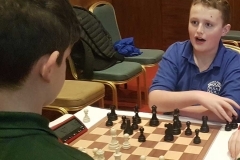 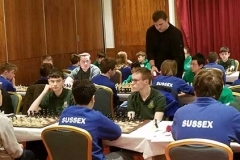 The blitz was won by Sussex head of delegation Mike Forster (9/11) followed by Ireland’s Jacob and Fiachra (8/11) with Calum and Scott (Sussex) and Benjamin (Ireland) just behind on 7. 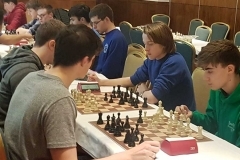 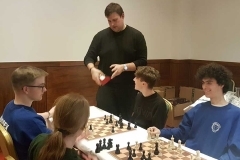 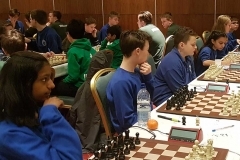 Thanks go to the Desmond Beatty and the Irish Chess Union for a warm welcome and a great event; Mike and Debbie Forster for organisation and team management of the Sussex delegation supported by Sue Howell and Keith Martin.